Artemis Bridge is the know-who, go-to guy, the amoral fixer in 2028 Los Angeles with the connection for any illicit desire no matter how depraved. You need it, he can get it without questions or judgment. He prides himself on staying detached from the depravity, untouched by the filth, untouchable by the law. When a young hacker is assassinated before his eyes, he is burdened with a scandalous video of the mayor on the eve of the city's most important election of the century. With digital assassins and murderous thugs dogging his every step, he has only days before the corrupt mayor is re-elected, handing the Chronosoft Corporation complete control of the city. Unable to sell the video, he is forced further into a complex conspiracy. 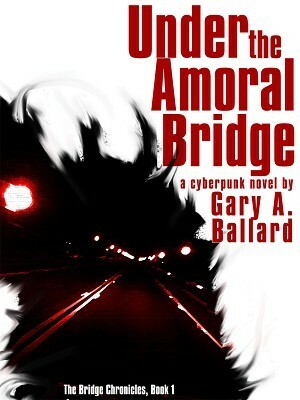 This taut futuristic thriller is the debut novel by Gary A. Ballard, a rising new talent in the cyberpunk genre. The trade paperback edition includes the previously unpublished short story "Feeding Autonomy."